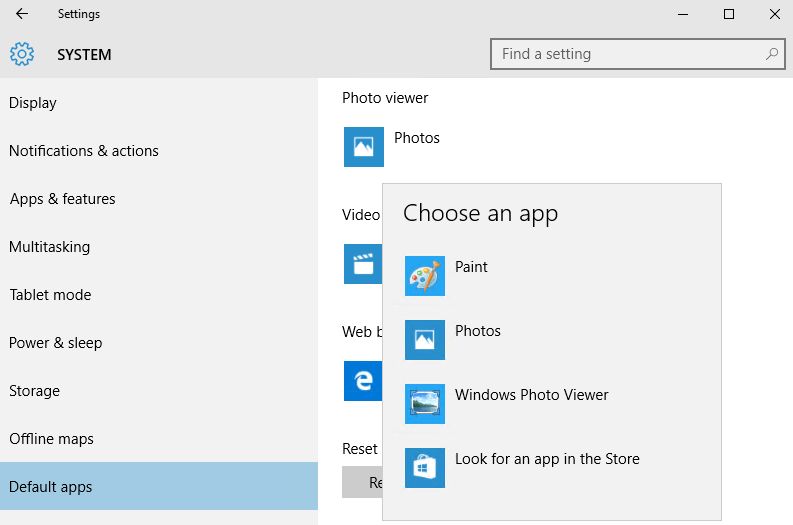 Microsoft is sort of removing Windows Photo Viewer (WPV) in Windows 10 in favor of Photos universal modern app. While not entirely removing the Windows Photo Viewer program from Windows 10, Microsoft hides many of its traces and functionality so that users couldn’t use it easily and directly. 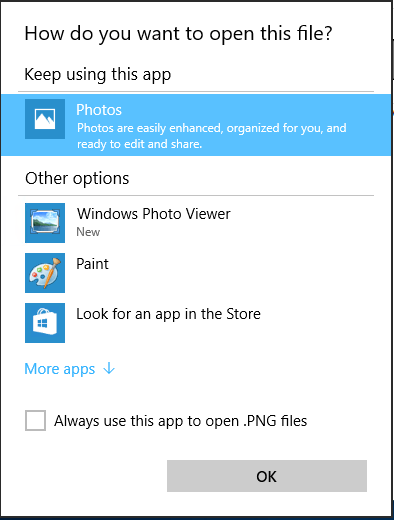 Windows Photo Viewer is not showing up as an option when right clicking on a picture or photo and select “Open with” in Windows 10. 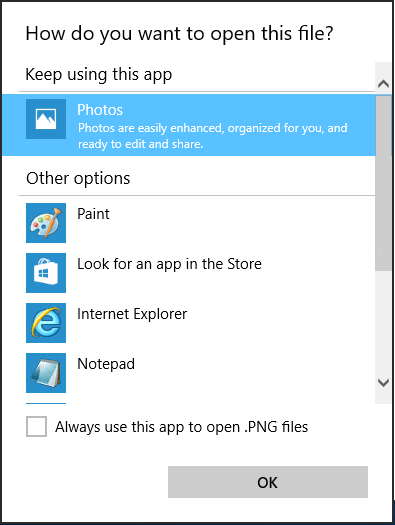 Only Photos and Paint and other third-party programs are listed despite already selecting to show more apps and expanding all the apps available for images. 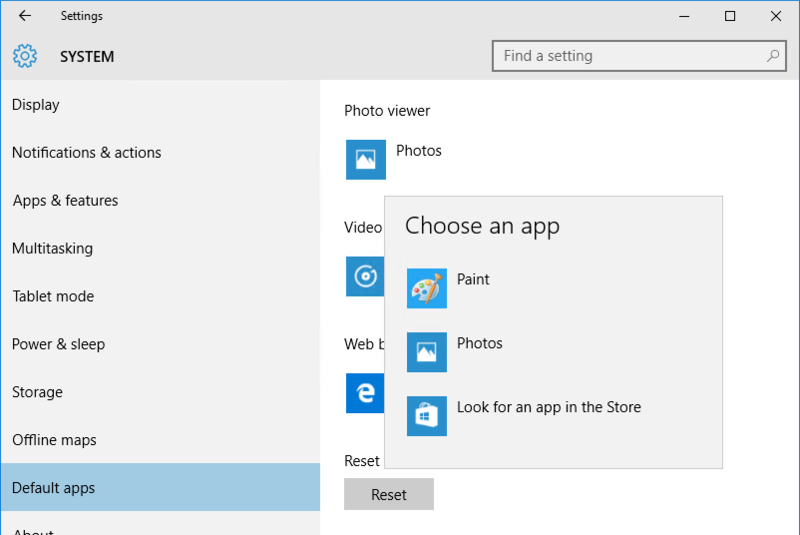 Windows Photo Viewer is no longer able to set a default photo viewer or default image opener in Windows 10, both on Settings app or Control Panel. You’re unable to use “Look for another app on this PC” to manually run Windows Photo Viewer as both “C:\Program Files (x86)\Windows Photo Viewer” and “C:\Program Files\Windows Photo Viewer” folders do not contain any executable. “Preview” no longer available in the right click contextual menu of images and photos. If you search for “Windows Photo Viewer” or “PhotoViewer” in Windows 10, no results is returned. When Windows Photo Viewer is opening, it keeps showing the print pictures GUI. The cause of the issue is apparently due to missing, accidentally or intentionally by Microsoft, registry keys related to functionality of Windows Photo Viewer that outlines its available commands, and/or file associations that allow image files to identify Windows Photo Viewer as valid option. To resolve the issue, try one of the following registry hacks. Regardless of which registry tricks you choose, copy and save the code into a text file, and save it with a file name ending with .reg extension. Then, run and merge the code to registry. After adding the registry values, Windows Photo Viewer is now available for common image types to open and view in, and can be set as default image viewer, as shown in figures above.